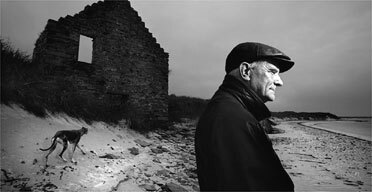 Peter Maxwell Davies Interview . 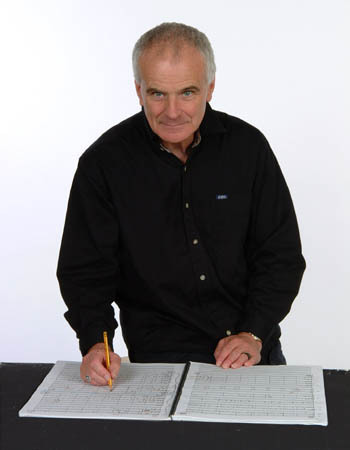 . . . .
From a piano piece which was played in the BBC Home Service's Children's Hour in 1942 to the cycle of 10 string quartets he is currently producing, composer and conductor Sir Peter Maxwell Davies has revealed a multitude of ideas in a wide range of works for symphonic and vocal ensembles, as well as theatrical presentations large and small. Max (as he is known) was born in Manchester in 1934. He studied there, and then in Rome with Goffredo Petrassi. After being Director of Music at Cirencester Grammar School for three years, he went to Princeton for studies with Roger Sessions. Along with his composing, he shared his musical visions of others by conducting the Scottish Chamber Orchestra, the BBC Philharmonic and others in Europe and the United States. 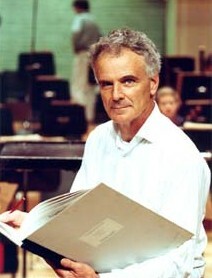 In 2004, he was named Master of the Queen's Music. Earlier in his varied and distinguished career, he, along with Harrison Birtwistle formed a small performing group called The Pierrot Players which was later reorganized and renamed The Fires of London. It was with that group that he toured several cities in the US and Canada in the fall of 1985. The conversation which follows was done while the group was in St. Louis during that tour. 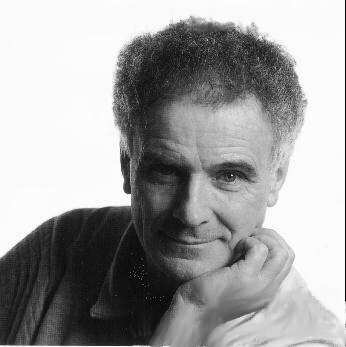 Bruce Duffie: You seem to be very interested in relationships - composer/performer/audience. Would you tell me a bit about your thoughts concerning this? 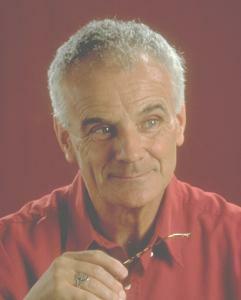 Peter Maxwell Davies: This is something that if a composer is not interested in it is at his peril. He'd better be interested in the relationship with his performers and his audiences if he's going to communicate anything with those people, and do something that is actually going to work in real terms. I enjoy working with people, I always enjoy working with musicians, and I think I learn a great deal from their reactions for and against. Even something like Eight Songs for a Mad King, on the 100th or 200th time, something will get through [to me] from the way the audience reacts to it. If you don't get feedback from your performers and your audience, you're going to be working in a vacuum. I think that even showed in composers such as Beethoven and Schubert. Schubert didn't get his late works performed, and Beethoven simply couldn't hear them and learn from the results. I think they made demonstrable errors in orchestration, and if you don't have a concert performance of one's pieces - new pieces particularly - and a consistent confrontation between musicians and audience, you (the composer) are going to be the loser. BD: What do you expect from an audience that comes to hear one of your works for the first time? PMD: First of all, I expect that they're going to be curious, and that they're going to be made to work. I feel very strongly that you must aim for the highest possible intelligence, musicality, whatever factor in that audience and not pander to them, and I really mean make demands on their musicality, just as you make demands on the musicians' musicality. At first this might cause difficulties, but when you hear a work for the second, third, or twentieth time, then they begin to get to know it, and if it's not got plenty of levels (depth) in it, then they're going to start getting bored. If you aim at anything lower that is expecting your audience to be really alert and aware, then you're going to be caught out sooner or later as a composer. You can't pander to your audience. You might in the short term, but ultimately you can't hoodwink them, either. I do think that a lot of composers underestimate the musicality of their audiences. I recently did a piece for the Boston Pops and John Williams, and I hope that it's as well a composed piece as I've ever done for any other medium or occasion. Very different of course - you can't expect to write a symphony for a Boston Pops audience - but I hope that for that occasion and that audience it was a piece which really did call upon their musicality and their perception, which would make big demands on them. And if I can extend that for a moment, when you're writing a piece of music for children to perform, I think there you make big demands on them as it relates to the audience. Consider, too, that for the small child to play a syncopated 4/4 perhaps with a triplet in it, is, for that child, just as difficult and just as demanding as for a professional musician to play a syncopated 7/16 after a 5/32 going at allegro. The demands are related to their questing of the best possible out of the people concerned. It's this going for the highest possible factor that I'm very concerned about. You don't underestimate either players or audience in any circumstances. BD: Is it at all possible that you would over-estimate the abilities of your audience? PMD: I'm sure it is, yes. But if you do that, you hope that the years will sort it out. When I wrote a big orchestral piece for the BBC in 1969, which we did at the Proms in London, I think that about a third of the audience walked out and the rest booed. They hated it back then, but it was done last year in Huddersfield, a small industrial town in the North of England, and the audience went wild. They loved it. The years made that difference. BD: Were you prepared for the people walking out or booing? PMD: No! I was horrified! I was conducting and wondered what the hell was going on behind me. I knew something was going on - there was a great shifting about and noise, but I just went on beating time. It was only afterwards that I realized what had happened. It was a horrid experience. BD: Were you, perhaps, too close to the piece to realize the incomprehensibility of it? PMD: Yes, I think I was. If I have an idea like that, there's only one thing to do - go through with it and write it. You can't compromise. I think at this stage I would be better prepared and know what kind of reaction to expect. But I would still write it. BD: Well, I asked what you expect from the audience, so what can the audience expect of you? PMD: (laughing) It depends. It changes with every piece. The best I can do, I hope. What they can expect always is that they're going to be made to think. BD: Does the audience come to the concert hall to think? PMD: I feel they should because so often people go to musical concerts in order to wallow in the stuff, rather like you might wallow in a warm bath. I find even the music of, say, Tchaikowsky - which people genuinely wallow in - extremely stimulating and very, very well composed. Even when I do performances of Mozart, if you play the music as if you as a conductor or performer have not got to the stage where you know what is going to happen to such an extent that it is as comfortable as an upholstered sofa, and it still has got some of the astringency and surprise that it must have had when it was first done, then, I think, you've got a chance of perhaps understanding what I expect of an audience and the performers in a work of my own. They shouldn't listen to it with complacency. I don't see how they can with most of my pieces, but I think it's unfortunate that they can through familiarity with flashy performances of a great deal of other music. BD: Then you really expect audiences to come to your works a number of times before they can say they understand them. PMD: Yes, and I think that is true of Beethoven and Mozart, too. I think most people don't really understand it. They accept it, perhaps even enjoy it on some levels, but to understand it, I think it really has to get right inside and disturb to some extent. BD: Is music "art" or is it "entertainment"? PMD: It's both I hope. BD: Then where is the balance? PMD: I think it depends. If you're writing a piece for the Boston Pops, the balance is towards one end. If you're writing a piece for a chamber music society, then it's towards another point. I won't make a final answer on that. I think it changes with every piece. BD: Do you write for specific audiences? PMD: Not so much specific audiences, but for specific players and specific occasions. But you can't really know your audiences so well. If I'm writing a piece for my own festival in Orkney, then I do know the audience very well. But if I'm writing a piece for the Boston Symphony, then I don't know the audience - or at least I didn't when I wrote the piece. I didn't even know the orchestra very well except through two or three performances and lots of recordings. It changes and depends upon the occasion and the audience. BD: Is there any parallel at all that you have come to know the audiences they way audiences have come to know you? PMD: I think it probably wouldn't be all that constructive for a composer if he pandered to his audience. If he knows them and stimulates them and perhaps even aggravates them, fine. But if he panders to them, then that would be a mis-use of his knowing them. BD: One of the things I read about you is that you have composed "a series of implicitly or explicitly theatrical works." Can concert works also be implicitly theatrical? PMD: I think you can imply a certain amount of drama and theatricality. For instance, some of the Tchaikowsky pieces are theatrical in an overt sense, but I think every piece of music has got a dramatic structure. I'm obviously very keen on the theater and I think it's inevitable that some of the orchestral and chamber pieces have got dramatic elements which might even suggest an unspecified dramatic plot of some kind or other, even though it's not in my mind at the time. Something of my interest in theater is quite likely to get through. BD: Many of your theater works have great concerns of violence and conflict and even madness. Is there a place in your music for anything that can be called "pretty"? PMD: (laughing) Yes, of course there is. I hope a lot of the pieces have got that quality. "Pretty" is a funny word to use, but "calm," "collected," "reflective," "beautiful" I hope so. BD: You say your write for specific groups. Are you the ideal conductor or performer of your music? PMD: Oh I don't pretend to be a particularly good conductor, but I know that the performances I do with my own group, or what is now in a way becoming my own orchestra (the Scottish Chamber Orchestra) and other orchestras, have got a certain quality of authenticity which I recognize. I know what I want at least, and the older I get I think I'm better at getting it out of players and singers. BD: Is that the biggest thing you've learned so far? PMD: I don't think I've learned it. It's just something which happens with age or with maturity. People take more notice of you when you've got a certain reputation. It becomes easier to get those things out of people. When you're young and untried, they are very suspicious. But when you get a bit older, and I hate to use the word, quite a bit more established, people take more notice and conducting becomes a great deal easier. You don't have battles like you had before. BD: Why do you not want to be called "established"? PMD: I don't know how it works in America, but in Britain it has got a rather uncomfortable ring to it that you're writing rather comfortable music, and that, for me, would be anathema. Of course as one gets older, one's music gets played more, but I hope it doesn't become "establishment" in the way that perhaps Parry and Stanford (pillars of the British institution a long time ago) were. 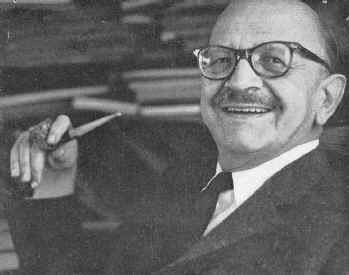 I would never claim to be a composer of the same quality, but when Stravinsky or Bartok, or even Ben Britten were mature composers, they were still not exactly anybody's establishment. They were still their own man. They still produced very individual works which raised the hackles of the musical establishment - and other establishments - until the day they died. It's a matter of maintaining one's integrity and not selling out to any kind of establishment at all. BD: Then would you be unhappy if, on your 110th birthday, your music was referred to as "establishment" or "old hat"? PMD: (laughing) I would probably be rather insulted, but I hope that I wouldn't have cause to take it seriously. You never know . . . . .
BD: Do you not want your music to be enjoyed by millions? PMD: Yes, of course! But I hope that it doesn't become official (establishment). BD: We hope these performances here in the US bring your name to more and more people. PMD: Well, I certainly hope so. It really does stimulate and make people enjoy music in different ways. I'm very interested, for instance, in music in education - getting young people not only to listen to, but participate in the music that I write. I consider this one of the most vital aspects of my work. BD: I read about your work in various schools. Is your teaching method going to cultivate a new concert and opera audience? PMD: I'm not actually teaching any more, but I am writing pieces for schools all the time, and for kids. BD: But would your method encourage this? PMD: Yes, I think so. I get feedback all the time. When I arrived here in St. Louis, there was a letter waiting for me from a student at a grammar school where I taught for three years twenty years ago, thanking me for what happened then. It's nice to get that kind of feedback. You feel you really did interest people in music in that they participate in an amateur way. BD: Is there any way to get the educational establishment to use your methods? PMD: You go on trying. You train teachers of course. At the moment, in Britain we're facing such enormous cutbacks in education programs and music programs and art programs that you feel you are knocking your head against a brick wall. But you go on doing it. The establishment in Britain is certainly against the arts and against education. If something doesn't make a profit, it's invalid, and art doesn't make a profit in that sense. BD: So how can we convince the politicians that the profit is in the mind? PMD: The present conservative government are beyond convincing anything of the kind. BD: Would a change in government be a panacea? PMD: No, but one might be able to deal with them in a sensible way. One can at least talk to the other two main parties. BD: When they are in power, do they make headway, or just talk? PMD: One of them has never been in power, but the arts did very well under labor administration. I'm afraid that once I start talking, I become quite passionate about these things. Recently I've been participating in radio and television talk programs doing broadcasts and conferences, and shooting my mouth off and really going to town. I consider them something which somebody has to shout about, and try to defend civilization against our government in Britain which it is really cutting back on and attempting to destroy. BD: Let's table the political argument and come back to music. Back in 1959, you wrote an article entitled The Problems of the British Composer. What is the present climate for you and your colleagues a quarter-century later? PMD: Much better. People are very aware. There was a period in the '60s and early '70s at the BBC when Sir William Glock was in control of music. There were lots and lots of performances of new music. Pierre Boulez became chief conductor of the BBC Symphony Orchestra. It was a marvelous period for getting good music listened to and performed. One felt that in that period things improved enormously. It hasn't been stifled by any means yet although things have gotten more difficult. BD: Are you optimistic about the future of music in general and British composition in particular? PMD: It depends. Under the present government, no. If this changes, perhaps. The present government is very insistent that business sponsorship should replace government sponsorship of the arts. Business sponsorship won't happen unless you make tax concessions, which they won't. The government has refused to do it. And it would appear that business is much more prepared to back establishment (in the sense that we discussed it) art, that is the Royal Ballet doing Swan Lake of Covent Garden doing Carmen, or the London Symphony doing a Beethoven cycle rather than new music or new operas or new ballet. For anybody in the creative arts, this is hopeless. BD: Then let me get you to gaze into your crystal ball. Would you feel the same way 200 years from now when the government is sponsoring presentations of your music instead of new works? BD: You do expect your material to last, though, don't you? PMD: If anything lasts, perhaps it will. I don't know. It's not for me to say. It's nice to think that something might, but perhaps something better will come along. It would be nice to think that one inspires something even better and greater, helped it to come into being. More, one can't ask. BD: You've written operas and music-theater pieces. What's the difference between the two designations? PMD: Music-theater is cheaper, for a start. (laughter) And you can take it around and do one night stands. Also, in music-theater, I think a general principle is that there's some kind of interaction between the actual musicians and the singers/dancers/mimes, whatever. It's much more integrated. Not Wagner's gesamtkunstwerk quite, but on a small scale, something which has got inter-actions and inter-play. BD: Are you happier with music-theater than with opera from more than just a practical standpoint? PMD: These days, yes. The whole ethics of it I find very stimulating. With opera, I think it has something to do with the stuffiness of the main opera houses, but I do find that music-theater is much more stimulating. I feel much more of a creative impulse coming from ideas to do with the intimacy of music-theater and the kind of interaction of the various elements in it where you don't have such a separation between pit and stage and various elements on the stage. BD: So you want to be close to your audience then? PMD: Very much so, yes. In music-theater, you tend to get the audience which is going to be interested in modern drama rather than the opera house audience which is not an audience I'm very fond of, I'm afraid. BD: Then do you want your works to be translated when they're performed in other countries? PMD: Yes, they are. For instance, when we go with the Fires of London to Italy or France or Germany, we always do the works in those languages. Not in Scandinavia so much because one is told their people are perfectly capable of understanding English, but the works have been performed there in their languages. I've seen productions in Norwegian and Swedish. BD: Do the translations work well? PMD: I know German and French and Italian well enough to know they work perfectly well in those languages, yes. BD: Do your works come across on gramophone recordings? PMD: It depends. I'd rather have a gramophone recording than nothing, but I think that a video is much better for the music-theater works. For orchestral pieces, though, gramophone recordings are perfectly adequate. BD: Would you ever write something specifically for video? PMD: Never thought about it. I probably would if the opportunity came, but there's something awfully attractive about the smell of the grease paint and all that goes with the real theater performance. BD: When you're performing, do you feed off the audience? And can you grab one that's a bit cold? PMD: Probably, yes. I'm a bit like Mahler in that. He said when he had a cold audience, he tried to take the music quieter and slower. Lots of ideas come earlier - in discussions and rehearsals, and they can lead to new pieces. BD: You wrote a work called Jongleur de Notre Dame. Is there any relation between your work and the Massenet opera? PMD: Not really, no. When I wrote it I didn't know the Massenet opera. I've heard it since. The legend behind it is the same, but the textures and the whole treatment are totally different. BD: The Massenet is about 90 minutes. How long is yours? PMD: It's about 50 minutes. BD: Would that make a nice double bill? PMD: I don't think so. The Massenet is a different kettle of fish. It's very sugary. It's not a bad piece, but it's very sugary and mine's not. BD: How long is The Lighthouse? PMD: It's a full evening. It's a short one, but I don't think it could take much else. BD: I was just wondering if The Martyrdom of St. Magnus would go well with it. PMD: I'd rather do them on two evenings. BD: I suppose it'd be like doing Salome and Elektra on the same evening. PMD: It would indeed! I'd be lucky, but I know what you mean. I don't think the audience could stand both of them. They're pretty strong stuff. BD: I saw Martyrdom when it was done here by the Lyric Opera School - young professionals in a small theater. PMD: I'd heard they'd done it and I'm very pleased. BD: Are you always pleased when your works are done? PMD: Very pleased, yes, especially if they're done under those circumstances - with students or those who are learning the trade. PMD: He was a marvelous teacher. He taught by asking penetrating questions and you really had to explain yourself. BD: Is that, then, your method of teaching? PMD: One of them. Make the student do all the work, really. BD: But you've got to steer the student in the right direction. PMD: Yes! Very quietly. Petrassi didn't let anything pass that was at all questionable. He was very, very strict. Even the doubling of a note when it could be slightly out of tune between two instruments, he'd say, "On the clarinet in that register, that is not going to be in tune with the bassoon, so change it." BD: But you'd remember that if you ever wanted that particular effect. BD: Are there times when you use things purely for effect? PMD: He had a huge, marvelous integrity. I was writing Taverner at the time and he was very helpful, very sympathetic. He was writing Montezuma at the same time, so we had a lot in common and we used to discuss our respective problems. That was just tremendously enlightening. The older man was very encouraging. BD: Did you get a chance to see Montezuma? PMD: I saw it in Berlin, the very first performance. BD: Did it jibe with what he was telling you in the student/teacher relationship? PMD: Yes. It was an extraordinary piece and by hearing it I understood a great deal more about him than I did when he'd be talking about it in theory. BD: Is Montezuma a masterstroke? PMD: It has its problems. BD: Can the same be said for Taverner? PMD: Oh I'm sure that it does, too, yes. BD: Do all works have their problems? PMD: Yes, I think they do, but in some pieces they get in the way more than in others. BD: Is there any way of ever surmounting all the problems of a piece? PMD: Well, you go on trying and you might possibly do it, but I doubt it. Some people manage it in their lifetime - Mozart for example. BD: I've read that you use "controlled improvisations." What does this imply? PMD: I don't quite know. (laughter) I've certainly not used it in a hell of a long time. I used it in some of the song pieces that I wrote when I was working with kids. You know the people involved and you know what they're capable of and you can have some say in the way that they improvise and help and guide it. But I'm not very interested in improvisation in an orchestral piece where you're working with hard-boiled professionals who, when they're going to improvise they're not going to have a clue as to how to improvise. They're probably going to do something very boring and out-of-style. I'd rather write the thing out so it comes off as an integrated part of my piece. BD: But it would be possible with a group like the Fires of London. PMD: Oh yes, there you could. Increasingly I tend not to because I find my own ideas - dare I say - too interesting to have that kind of interruption. BD: Would you ever get involved in something for electronics where you have complete and total control over everything? PMD: I think that wouldn't suit me very well. I like working very much with real people. Also, in electronic studios you tend to have to work in cities, very often in rooms without windows. That I certainly wouldn't like. I'm thinking of IRCAM in Paris, particularly. BD: One of the pieces you're bringing with you now is The Lighthouse. Why is there no resolution to the mystery? PMD: It's not that there is no solution. There are many possible solutions and I've suggested several in my piece. It just makes you wonder what if . . . . .
BD: Have you made any solution for yourself, or left it open in your own mind? PMD: I've left it open. When we did the first performances at the Edinburgh Festival, the BBC interviewed our three singers, and they all came up with a different solution. Hadn't discussed it with me, hadn't discussed it with each other, but they all had a different solution. I think what you are aware of is that something pretty catastrophic happens, but its exact nature, I think, depends on the perception of the viewer. BD: I understand you used the horn as the interrogator instead of an actor. Andrew Porter, writing in The New Yorker magazine said this came about through necessity. I was wondering if you found it actually worked better than if you'd been able to get a fourth actor? PMD: Yes, it works marvelously. It's very dramatic. Quite a good idea, but it was forced on me and I had to think my way around this because we didn't have the money for a fourth singer. I came up with this solution and I'm very pleased we didn't have the money. BD: So necessity forced some brilliance on your part? PMD: It would be nice to think it did, but it does work anyway. BD: How much adaptability can you expect in different productions of this work? PMD: There have been quite a few productions and I've seen several of them, and they've all been very different. They've adapted them to their own circumstances. Some I've liked, and some I've not liked so much, and I've learned something from some of them, too. BD: I guess I was wondering how much tolerance you have as a composer. PMD: If you get a marvelous production which, in a way, transcends your own ideas, then that's all right. I saw the first German performance of The Lighthouse in Bremen and it was a stunning production. I heard about but did not see a performance of Eight Songs for a Mad King in Paris conducted by Boulez where the King was revealed sitting on the lavatory naked at the opening of the piece. Well, that is not in my score, nowhere in my brief, and has got nothing to do with my piece. I would have objected very strongly. BD: Did you let Boulez know that he'd made a mistake? PMD: I've spoken to him about it only recently, and it wasn't him, of course, it was the producer (stage director). But he knows I disapproved of it. Things in the public domain are done by lots of people who do their piece and don't defer to me. I get the royalties, but that's all. BD: It seems that many standard works are staged with a complete disregard for the instructions of the deceased composers and librettists, so whenever I get the chance I always ask living composers how they feel about having these kinds of changes made in their works. PMD: I feel very annoyed about it especially when it's a piece that hasn't been done in the way that I would appreciate its being done. I think that the director of these productions is very often exactly like the Prima Donna used to be - adding extra notes and even extra arias. I feel that when people make that kind of change to a piece, where they disregard your directions as to the staging totally, it's just as if they were saying, "Well, we won't have that on the flute, we'll put it on the bass trombone." Or, "We don't like that a-flat chord there, we'll have an a-minor chord instead." It's just as disruptive as that and I don't really see the justification for it if you're going to attach the composer's name to it or the librettist's name. BD: Do you, then, wonder why they did your piece in the first place? PMD: Yes, quite. Do something else. Have your own piece commissioned and then you can do what you like. BD: There's no relationship between that which we've been talking about and your adapting old melodies and old pieces into your own new music? PMD: No, none. That, I think, is where you take inspiration from and it becomes a very constructive thing. BD: It seems that you and a number of other composers tend to like baroque and pre-baroque music and ignore the nineteenth century. PMD: No, that's not true. I don't ignore it at all. I'm increasingly fascinated by it, and I think that fascination pre-dates my fascination with medieval and renaissance music. As a child I played all the Beethoven and Mozart sonatas. It was part of my background even before I went to the university. And I could still play them for you! BD: Would you be insulted if someone asked you to play a concert of nothing but Mozart and Beethoven? PMD: I do conduct concerts like that with the Scottish Chamber Orchestra, but I'm a bit out of practice to play them on the piano. BD: Do you, as a composer, look at the scores of Mozart and Beethoven with different eyes than a mere performer? PMD: Oh yes! Very much so. BD: What is different about your interpretation? PMD: Hard to say, but I think I play the piece as if I just composed it. Of course, you'd be lucky if you ever composed anything half as good, but that's the ideal. BD: Do you wish others would perform your music that way? BD: Do they ever succeed? PMD: Some do, but perhaps the tenth or thirteenth or hundredth time they do it it's not quite so fresh. BD: Is there any chance you that you demand too much of your players and singers? PMD: Yes, every chance. But then you think of those high A's screeching in the Beethoven 9th and you don't blush. BD: So it's just a case of learning how to perform your language? PMD: Yes, and if you know your craft, you make big demands, but they're probably not insuperable. I'm thinking about the opening of The Rite of Spring and that bassoon solo which, these days, sounds so easy. But you listen to a recording made in, I think, 1928 and it sounds far higher and more difficult than than it ever does now. I remember Stockhausen when he first did Zeitmasse in Darmstadt in 1956, and it sounded so very difficult and problematic for the players. I heard it again a few years later played by the same group and it sounded all too easy. BD: Is there going to come a time - soon or late - when your music will sound all too easy and any student can toss it off? PMD: These days student orchestras and student groups are doing my pieces increasingly. For instance, in London recently I conducted a piece with a training orchestra that I wrote for the BBC Symphony in 1962 and the BBC players of that date found it impossible. They could hardly play it. Well these kids just waltzed through it with no trouble at all. BD: Is that pleasing to you? PMD: Yes it was, actually. I was very pleased. I could actually start to make a performance with my interpretation of it, rather than just struggling with the notes and rhythms. BD: One more question about The Lighthouse. Is it really true that the only time the actual lighthouse failed was on the night of the premiere of your work? PMD: That's right. First time in eighty years. I was rather amazed when I heard the announcement on the BBC. BD: You don't take that as an omen that your work should never be done? BD: You've written some film music? PMD: Only a bit. Two films for Ken Russell. BD: Is writing film music more difficult than writing a theater piece? PMD: No, not at all. It's a different kind of discipline. BD: Coming back for a moment to Taverner. It took a long time for you to complete it. Did this make it any better or worse? PMD: I don't think it really made any difference. It had to be in gestation for that period because I'd never done anything like it before, and perhaps never will again. It's one of the seminal pieces I've done and it took all that time to think it through. BD: Being so much into music-theater, do you mind the large work being done in a stodgy old opera house? PMD: I don't mind the opera house as long as it doesn't have a stodgy old audience. BD: But you have no control over who attends. PMD: None at all. But you find that for the music-theater pieces, the stodgy old audiences tend not to come, and the young and curious audiences do. When we did Taverner at Covent Garden, all sorts of people came who don't normally come to the opera house. BD: How do you decide which subjects to use in your new works? PMD: They just occur. They won't leave me alone. They decide themselves, I think. BD: Is everything on commission? PMD: Usually these days, if I want to write something I can get it commissioned. My manager does that for me. BD: And he's usually successful? BD: That would mean that your music in general is successful. BD: Well, it means that someone is willing to put up the time and the money. PMD: That's right, yes. It's a nice thought. BD: I would think that would make you comfortable. PMD: In some respects of course it does. I hope it doesn't make me complacent. BD: Have you got any advice for a young composer? BD: One last question. You live in the Orkneys. Why there? I assume it's very beautiful but it seems so very isolated. BD: Thank you so very much for speaking with me this evening. 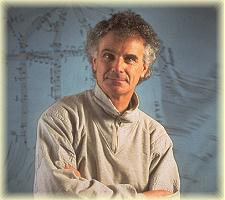 Bruce Duffie was and announcer/producer with WNIB, Classical 97 in Chicago for just over 25 years, and now continues his radio work with special programs of music and interview on WNUR-FM, and Contemporary Classical Internet Radio. His interviews also continue to appear in various magazines and journals. For full details, plus links to other interviews and photos, visit his website .